Furniture designer Tom Kelly brings us yet another impeccable piece of furniture. The Natural finished Ironica round dining table is just the piece for your kitchen or your cozy breakfast nook. 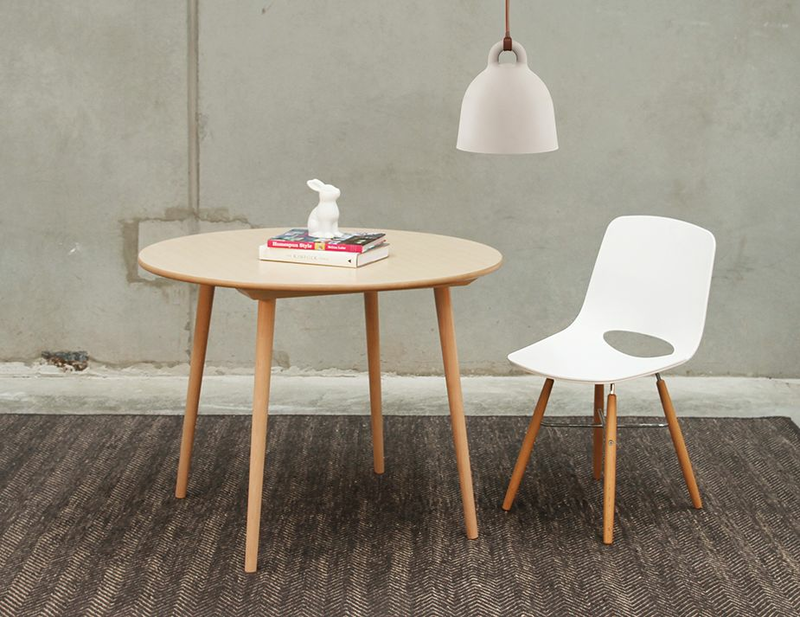 Made to comfortably seat up to four to six guests, this beech wood round dining table offers a striking natural finish prefect for a modern look or even a chic organic inspired space. Tom Kelly is well regarded for his unique vision of simple, tailored designer pieces impeccably rendered by respected European furniture maker TON. Even if you have a small space, you donâ€™t have to sacrifice designer looks or quality construction. With the natural Ironica round kitchen table, you get it all. The European made Ironica round dining table offers a smooth table top with a beveled edge and tapered legs. 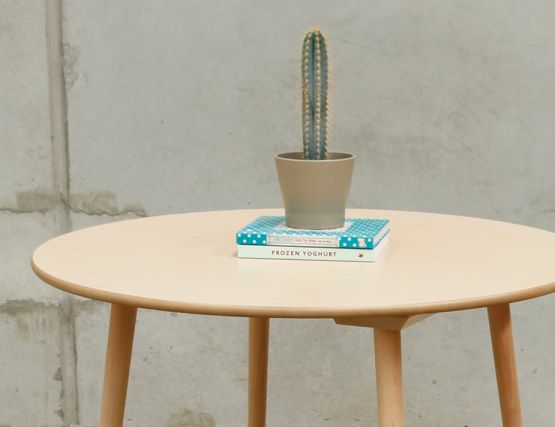 This dining table may be simple but it isnâ€™t plain. And it may be a careful executed designer table but it isnâ€™t fussy or overworked. Set the right mood in your space with this modernist, natural wood dining table.